RSS feeds are meant to be simple, efficient, and easy to consume. Pair them up with a great RSS reader and you get a really convenient way of informing yourself on the matters that interest you. But which one among the many should you pick? Well, here is one that you should definitely give a try – Feedly. Feedly is a nice-looking RSS reader available for a variety of platforms, and today, we will take a closer look at its Android version. You can grab it for free from the Android Market, and the fact that it does not come with annoying advertising popping up makes using it a pleasure. 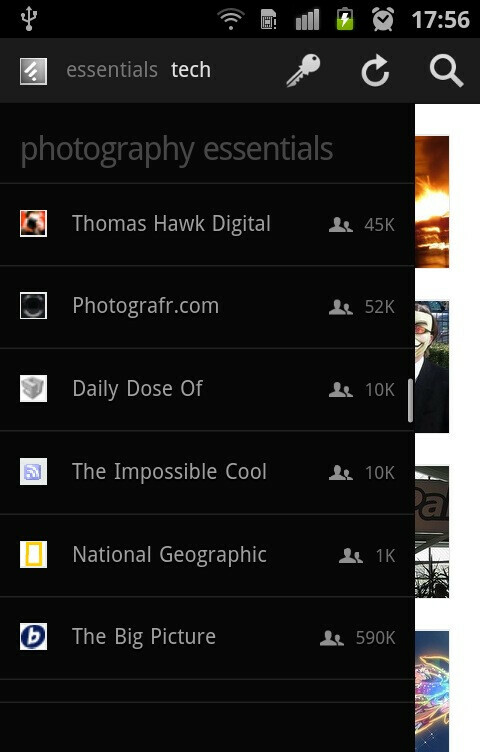 First thing that we noticed about Feedly is how it keeps all feeds neatly organized for easy viewing. Instead of having a boring list of headlines, the app takes a different approach and arranges feeds in pages with each page hosting four of them, kind of like browsing through a magazine's index. Feedly comes with a great amount of preconfigured RSS feed sources covering a variety of themes from cooking and lifestyle to crafts and electronics. However, if you do not need any of these and prefer using the ones you have in your Google Reader list, the built-in sources can be easily disabled. Feedly works seamlessly with Google Reader so feeds from all the web pages that you are subscribed to will appear as soon as you log in. There is also the option to search for new ones, which we found to be a very useful feature and it was actually quite fun to play around with. Some of the other neat features that Feedly boasts is Instapaper and Read It Later integration. Both services can bookmark an item of your choice so that you can easily view it at a later time even if you have already switched over to a different device like your desktop computer, for example. Feedly gives you several ways of telling the world what content you find worth reading – one of them is the Recommend button, which practically works like Facebook's Like button and boosts an article's popularity within the Feedly community. 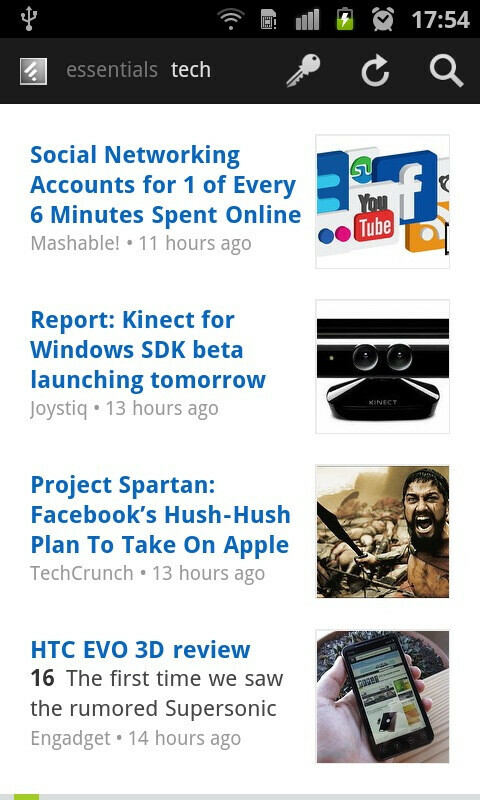 Each feed has the number of people who have recommended it right next to its headline. 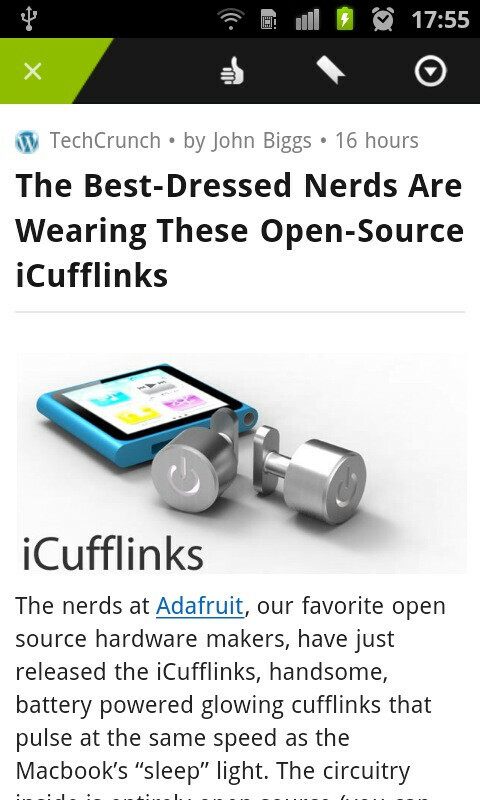 You can also send tweets and emails with links to articles straight from Feedly with only a few taps. Even though we were impressed by Feedly's pleasant-looking interface and its ease of use, there were several things that bothered us. For some reason, we never got its widget to work on our smartphone's home screen, but we hope that the issue will be resolved in a future update. We also noticed minor glitches here and there, but none of them made the app less functional. Another imperfection of Feedly is that it would not store content on your device, so if you happen to go offline, there is no way of using the app to view items that you have already read. 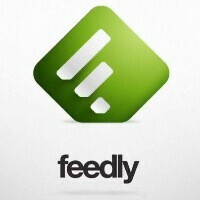 To wrap things up, Feedly is a pretty versatile RSS reader and it will probably get even better over time. We liked it for its ease of use, great-looking interface, and the handful of useful features that it has built in. Besides that, downloading Feedly would not cost you anything so we would definitely recommend giving it a try.